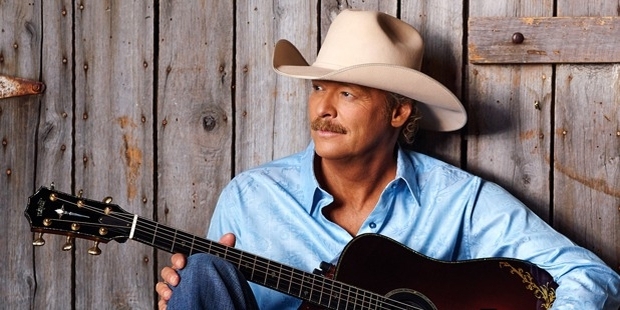 Alan Jackson is a well known song writer, singer and musician. His claim to fame is the fact that he successfully blended the traditional country music of America with Honky Tonk to create pleasing music, which captivated his audience. More than 50 of his singles have appeared on the Top 30 Country Songs list of Billboard. About 80 million copies of his albums have been sold around the world. Alan was born on 17th October, 1958 in Newman, Georgia. He lived in a small house with his parents and four elder sisters. As a child, he used to sing in the church choir. He completed his studies from Elm Elementary School and Newman High. Alan’s love affair with music began in true sense when one of his friends introduced him to popular music of Hank Williams Jr. Jackson, John Anderson and Gene Watson. He started a music band after completing high school. At the age of 27, he moved to Nashville along with his wifewith a dream to make a career in music. In Nashville, Alan’s wife Denise introduced him to Glen Campbell, who played an important role in kick starting his career. Alan was the first person to sign up with Arista Records in 1989, which was newly launched in those days. 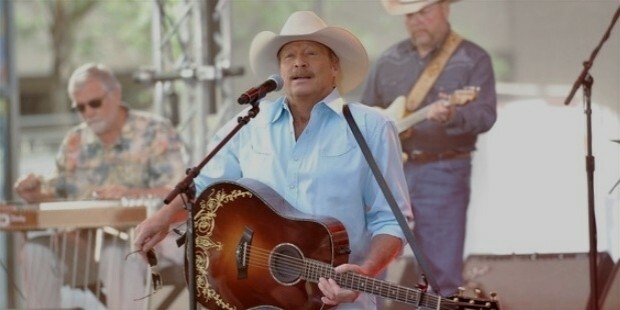 Alan Jackson’s first single, Blue Blooded Woman, was released in 1989. Though this did not top the charts, was definitely a beginning for his career. 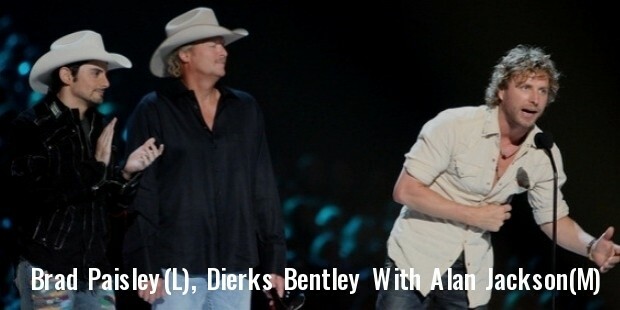 Eventually, the song, Here in the Real World, fetched Alan third place in the top 40 Hot Country Songs List in 1991. This was also the opening track of his first album, Here in the Real World. This album also had other smashing hits, namely Wanted, Chasing that Neon Rainbow and I’d Love you All Over Again. Some of his other well known albums are Don’t Rock the Jukebox, A Lot about Living (And a Little about Love), Who am I, Everything I Love, Under the Influence etc. Some of the popular singles rendered by Jackson are Chattahoochee, Where were You, It’s Five o’ Clock Somewhere, Livin’ on Love, Gone Country, How Great though Art, Where were you (When the World Stopped Turning), Here in the Real World, Angels and Alcohols etc. 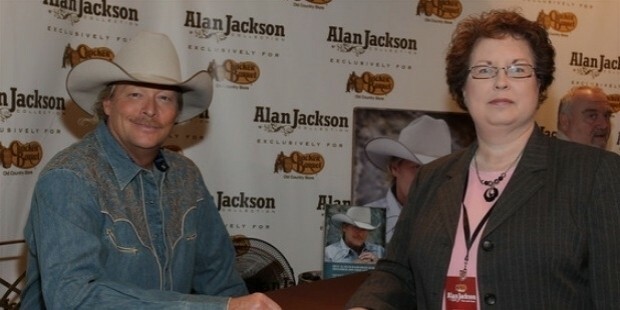 Alan Jackson had won a number of awards for his contribution in the field of music. 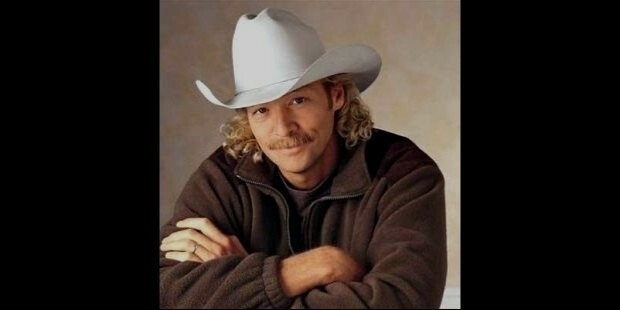 He won the ACM Best Male Vocalist of the year in 1994 for his single,Chattahoochee. At the 2002 Country Music Awards, he set a record for being the most nominated male singer with a whopping ten nominations to his credit. 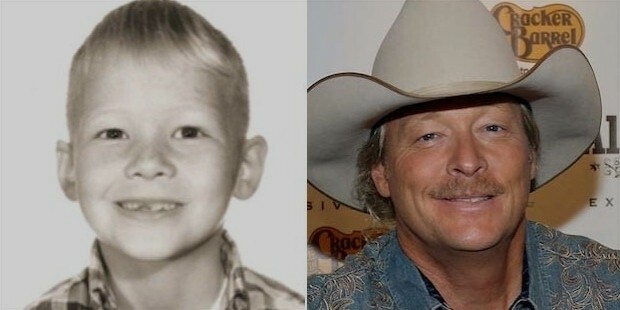 In 2003, he won the Best Album Award at the Academy Country Music Awards for his album Drive. He has also been inducted in to the Georgia Music Hall of Fame and has a star in the Hollywood Walk of Fame. He completed his 25 years in the music industry in 2014. This was celebrated by the Country Music Hall of Fame with an exhibit in August 2014. 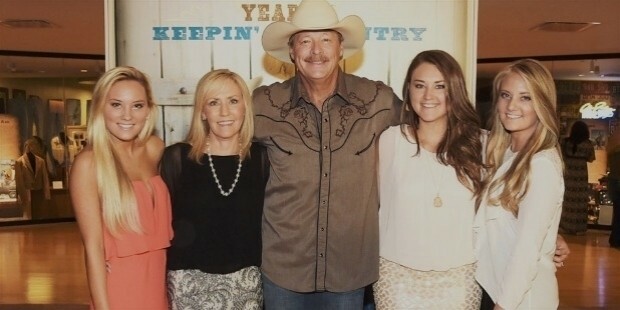 He has also started a musical tour, named Keeping it Country, since January 2015. 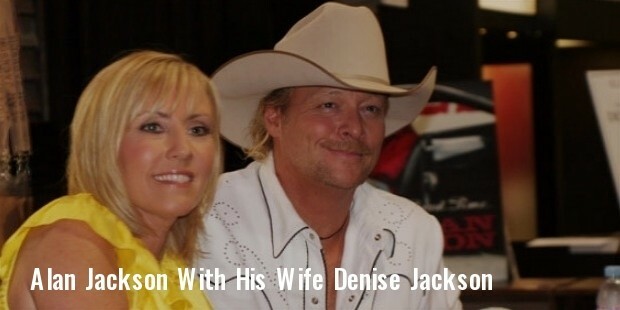 Jackson married Denise on 15th December, 1979. They have three daughters – Mattie, Alexandra Jane and Dani Grace.